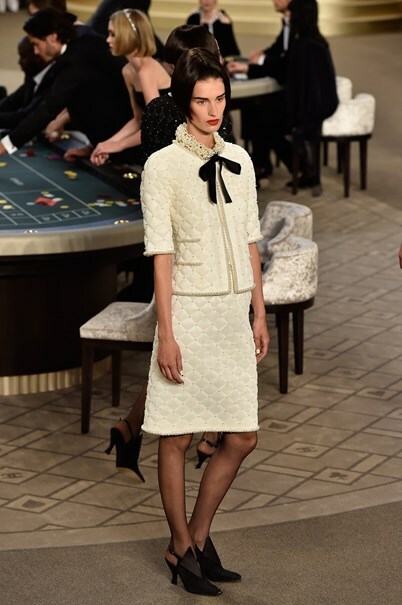 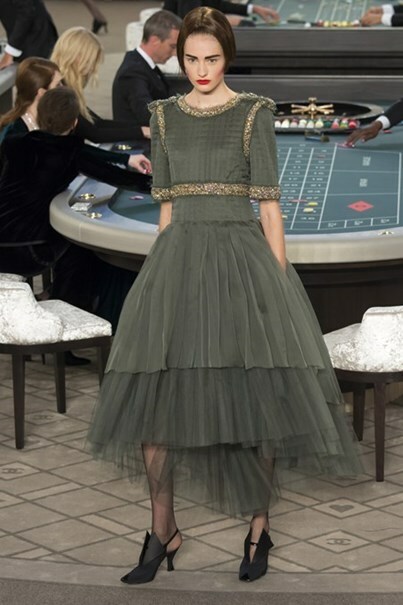 From the supermarket to a pop-up brasserie and a faux street protest, Chanel is creatively avant-garde in the fashion industry. 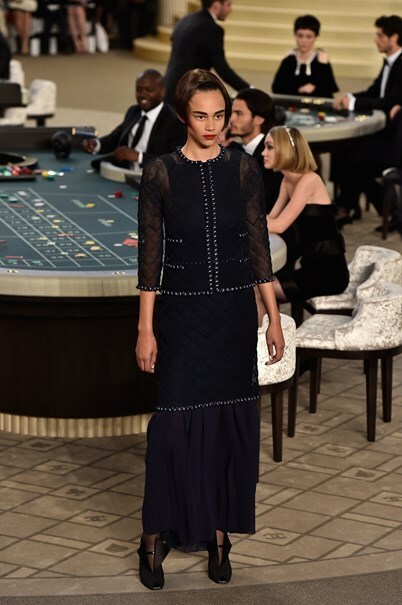 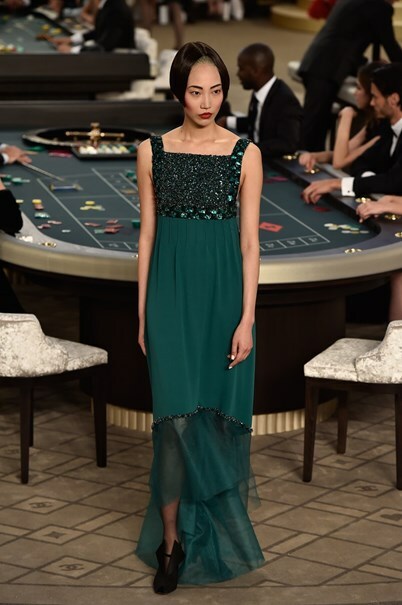 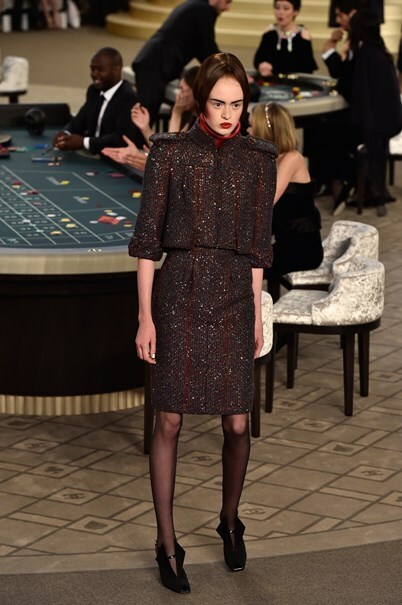 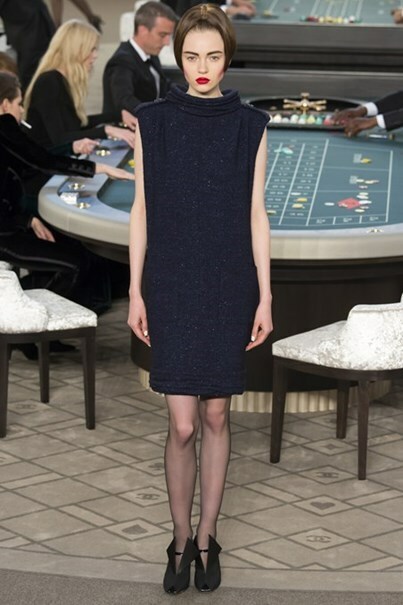 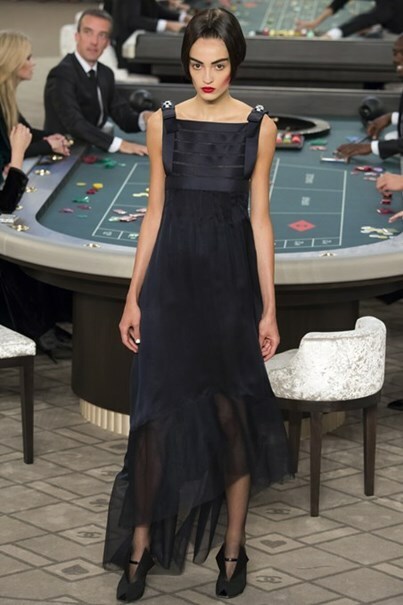 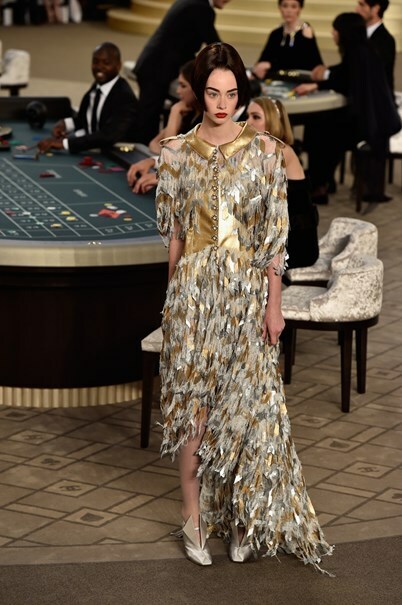 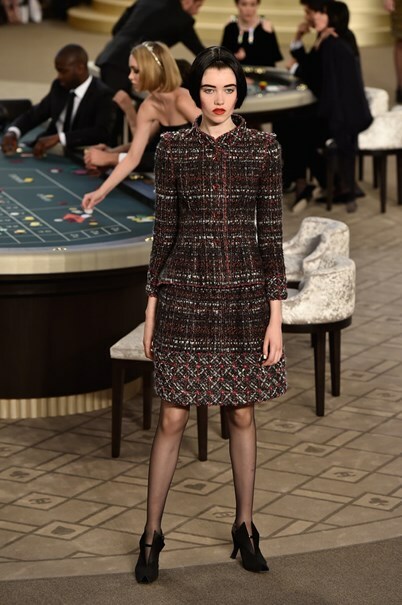 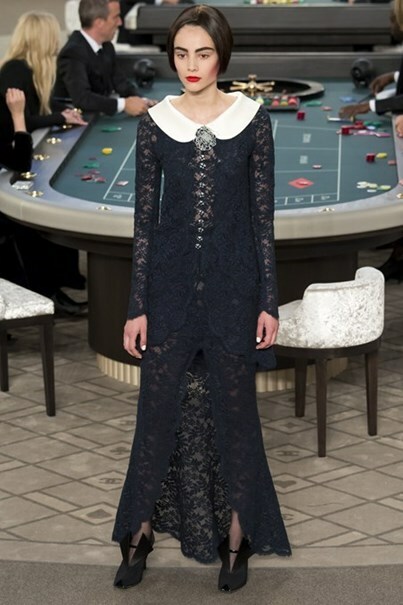 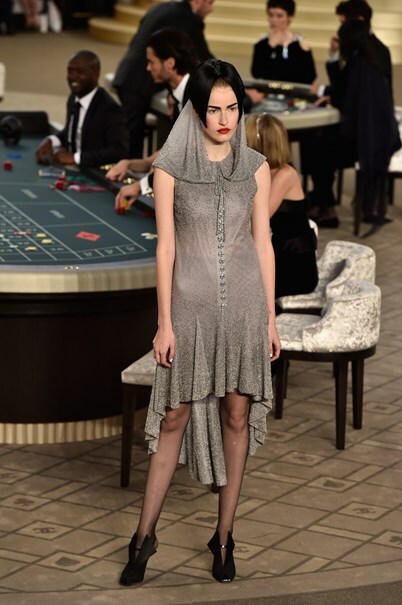 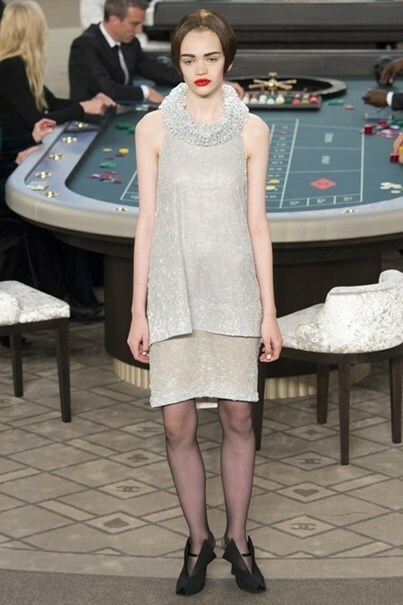 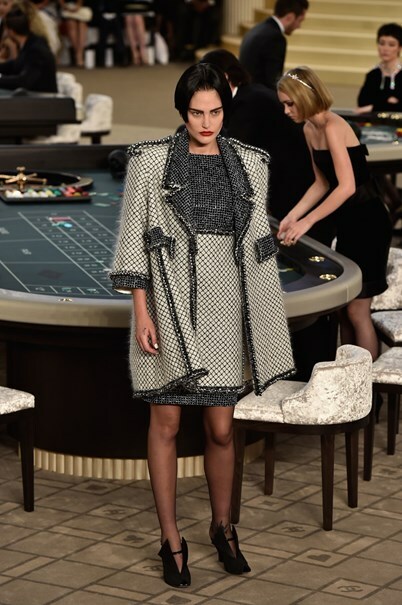 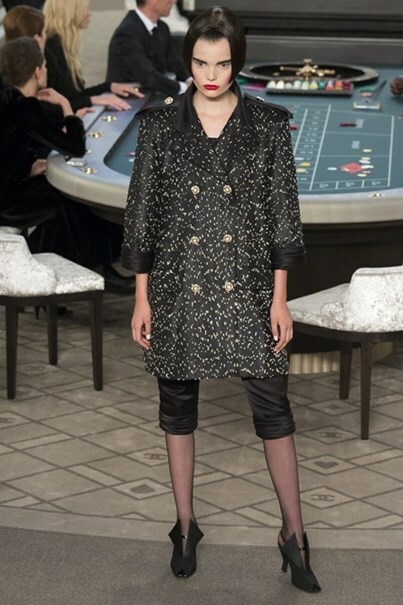 This time, diamonds, celebrities and iconic couture merged around a massive casino table highlighted the spectacular scenario of Paris Grand Palais for fall-winter2015/16 Paris couture collection. 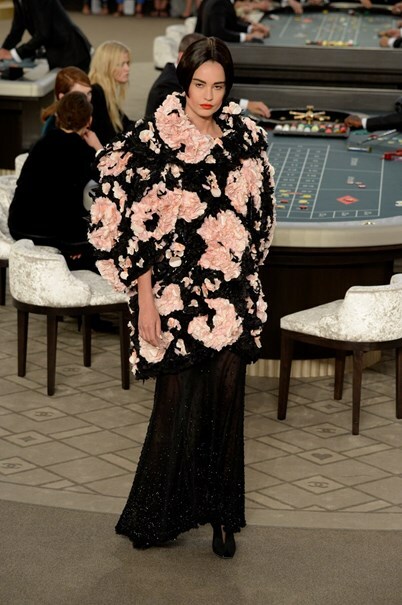 Lagerfeld, 81, says the secret to feeling young is always looking to the future. 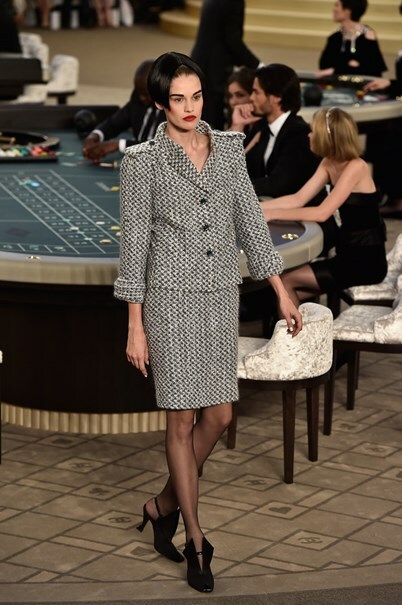 Nothing demonstrated this better than Chanel’s bright, high-tech couture show that featured Coco Chanel’s famed skirt-suit jacket made via 3-D printing. 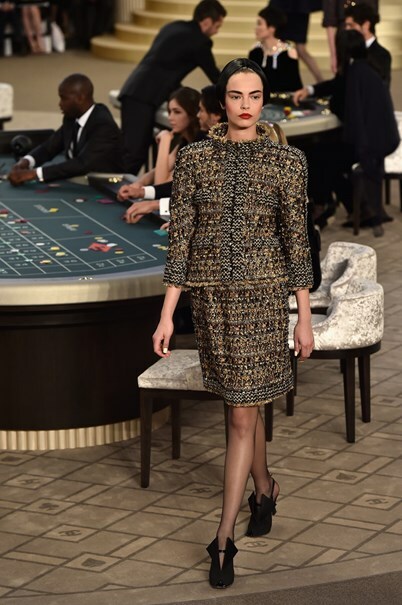 “I like the idea of taking the most iconic jacket of the 20th century and turning that into an object that was impossible to make when that jacket was invented,” explained the couturier. 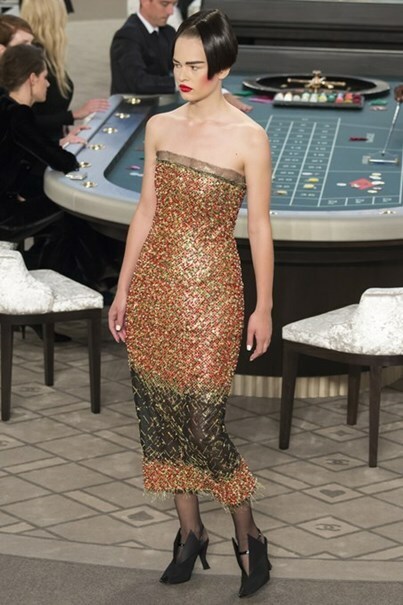 “Computers are going to enter more and more in the evolution and techniques of fashion — you cannot resist. 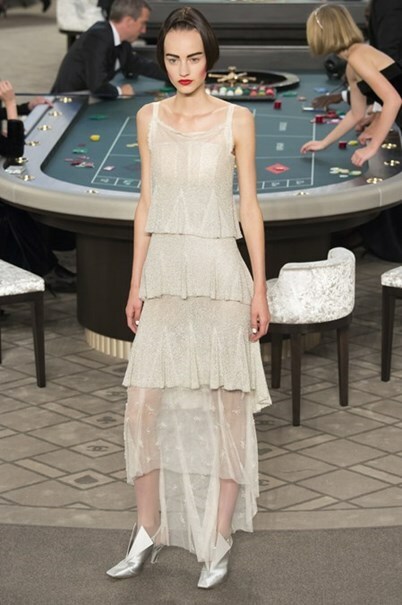 On the contrary, if it exists in its time couture will live on,” he said. 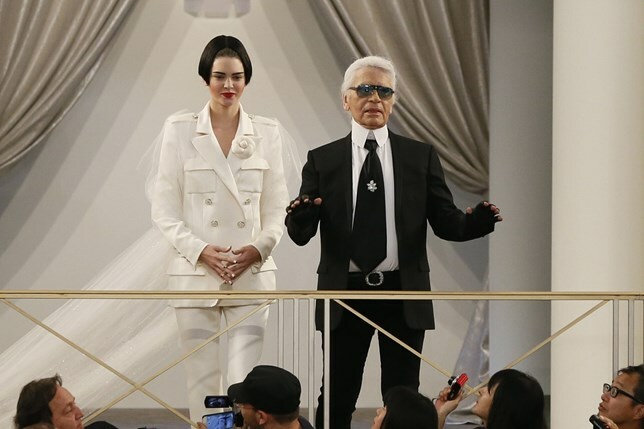 “Fashion is not needed, there are other problems in the world which may be more important … but it’s an industry,” German-born Lagerfeld said.